Success: Now Available For All. It’s your turn to experience the success our community has had and get some good motivation. 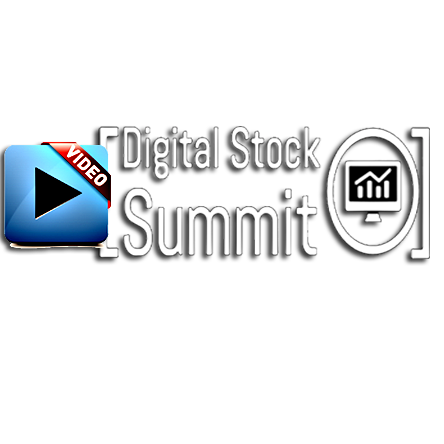 See The Full ‘Digital Stock Summit’ Interview Of Dr. Ellman President of The Blue Collar Investor Corp and author of four best-selling books on the subject of covered call writing. Dr. Ellman is President of The Blue Collar Investor Corp and author of four best-selling books on the subject of covered call writing. His 4th book, Stock Investing For Students, is now required reading at The University of Maryland. His fifth publication, Selling Cash-Secured Puts has also become a best-seller. He has also produced several DVD educational programs of this subject. 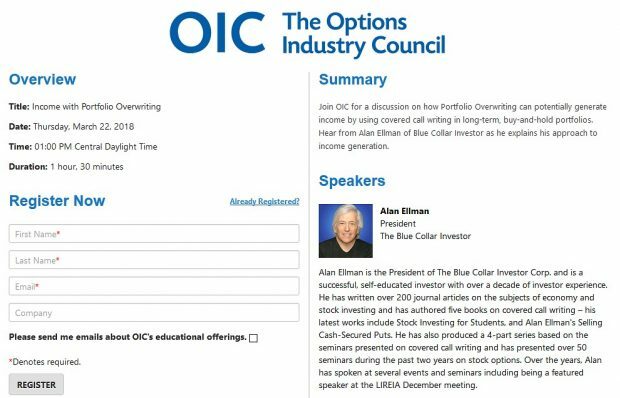 Over the past few years, Alan has been a frequent guest on financial forums such as the Options Industry Council. He is also a national speaker for The Money Show, the Stock Traders Expo the American Association of Individual Investors. Alan writes weekly articles for his award-winning blog as well as various financial publications in the US and abroad. Alan wears many hats as he is also a retired General Dentist, a licensed real estate salesperson, a certified personal trainer and has successfully completed the Series 65-Investment Adviser Rep requirements. Alan’s passion is his desire to educate average retail investors how to become CEOs of their own money using his favorite strategies…covered call writing and selling cash-secured puts. History Of The Blue Collar Investor Corp. The Blue Collar Investor was NOT a brilliant idea of mine…,it just happened! I was a frustrated blue collar investor just like you. I attended a top tier High School, College and Dental School. All those years of education and I knew NOTHING about the Stock Market or investing in general. Our education system failed us! I used the power of self-education to accomplish my mission of becoming an accomplished stock market investor. I used the same blueprint that I adapted to become a licensed General Dentist, a Certified Personal Trainer, and a Licensed Real Estate Agent. Year after year, my portfolio generated higher returns than those of the average Stock Market. When I started selling options, those returns increased exponentially. GETTING STARTED: In 2006 I was invited to speak before a group of 250 Real Estate Investors about some successful property investments I had fashioned. When I mentioned that I purchased my first investment property with the profits earned from selling stock options, the floodgates opened! Endless numbers of calls and emails asking me to explain how I do this. In addition to that, a DVD and CD Series have been created. Most recently I have been asked to present seminars on behalf of The MoneyShow, Stock Traders Expo, American Association of Individual Investors (AAII) Chapters nationwide, The prestigious, NYC Learning Annex and Norwegian Cruise Lines. I have also been an invited guest on the Mind Your Bizness radio program and Jordan Kimmel’s Voice America financial radio program. In addition, I have qualified as an investment advisor rep via the Series 65 Examination. I need to spread the word: we Blue Collar Investors have the intelligence, the motivation and the ability to be successful and independent stock market investors. In 2009, the Blue Collar Investor was fortunate to have Barry Bergman join our team. Barry’s credentials include an MBA and a BS in engineering. He has extensive domestic and international experience in business, financial services and computer hardware and software businesses. Barry is the Director of Research for the Blue Collar Investor and oversees the publication of The Weekly Stock Screen and Watch List. Barry’s experience in the corporate world and the stock market in particular has added immensely to the quality of products and education we provide to our members.